Shades of grey are the colours…..
if possible, I usually try for a nap during. This obviously means that comfortable clothes are required. Layers are often a good idea too as the treatment can make me shivery it sweaty & there’s no way to predict which way it will go. 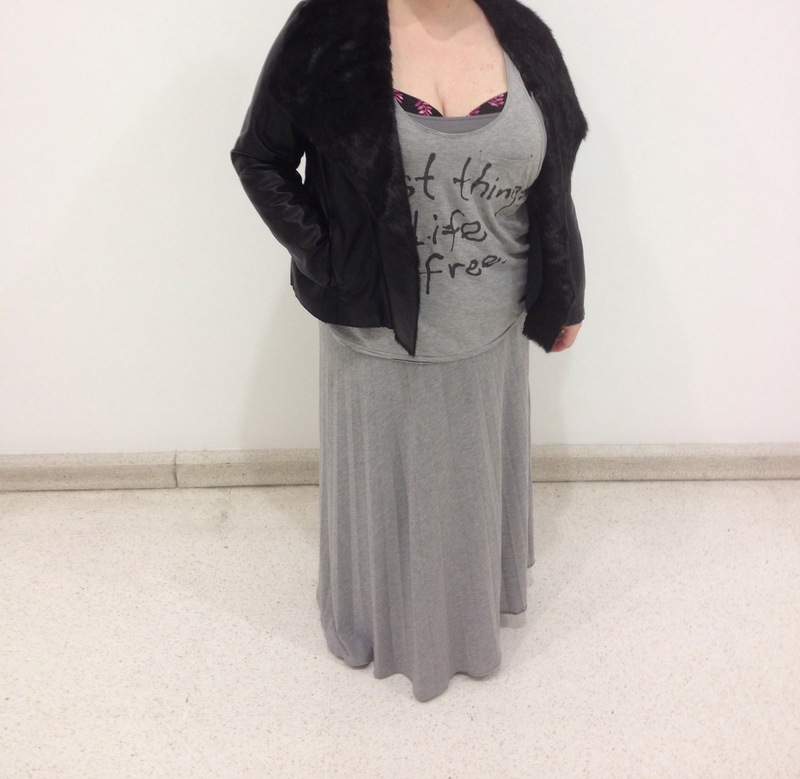 I settled on this fifty shades of grey combination with added cardi & jacket. Also some sneaky leggings under my skirt. There are sometimes side effects, but today I felt fine afterwards. That was up until about 5 mins before we started taking pictures. I looked so miserable ( & plain bad) that I have just cropped my head right out. So, enjoy decapitated me. Next > Walking the dog….